Tech and lifestyle news in a Skweesh! Sparrow Mail. An awesome mac mail client gets an awesome update. 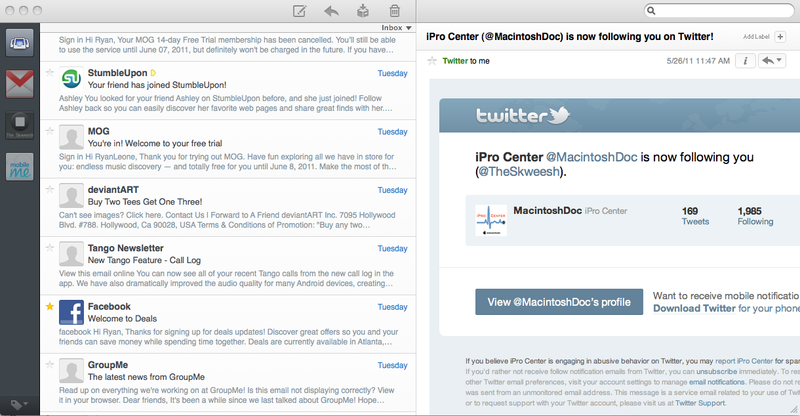 The mail client for Mac is pretty great and full features. 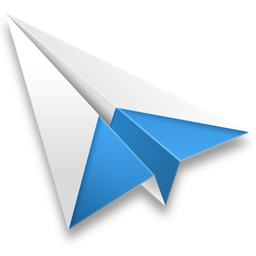 But for some people who don’t like all the fuss and mess and prefer something clean, Sparrow fits perfectly as your new mail client. Read on for more …. Sparrow is super clean and pretty to look at. Some of the features are a great mail view to the right as well as quick compose and also the use of labels. You can also have multiple mail accounts as well. Sparrow now supports all IMAP accounts, including: Gmail, Mobile Me, Yahoo, and custom IMAP. Also it syncs up nicely with Gmails priority inbox. Sparrow also put out a new update to the application, bringing a very welcomed unified inbox and Facebook intergration as well as some bug fixes. For $9.99 in the Mac App Store, Sparrow is defiantly worth the money. If your looking to replace your native mail client Sparrow’s clean interface is well worth the money. A Tech and Lifestyle Blog. Add The Skweesh on Facebook!